This may go quickly as it is for the first 75,000 people and stuff like this spreads quickly. 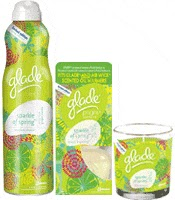 So, hurry and sign up HERE for a Free Glade Spring Collection from Right At Home! Simple form.